Benicar (olmesartan) is used to treat hypertension (high blood pressure) in adults and children over the age of six years old. 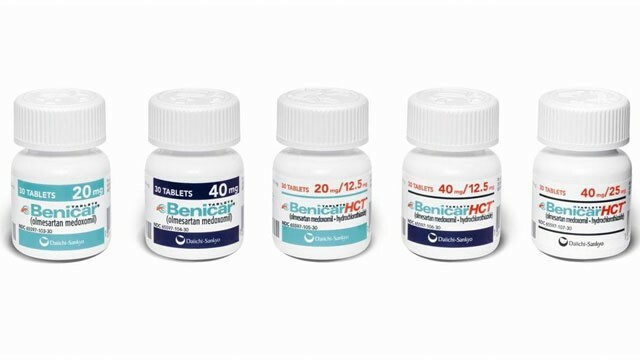 Patients who are pregnant, trying to fall pregnant or who are breastfeeding should under no circumstances make use of Benicar, as it could cause permanent damage to unborn babies, especially during the second and third trimesters. People who have or have had any kidney or liver problems should also refrain from using Benicar (olmesartan). Clinical studies have shown that Benicar is an FDA approved medication which helps to lower both systolic as well as diastolic blood pressure readings. It is part of a group of drugs which are known as angiotensin II receptor blockers (ARB’s). By blocking these receptors in the body, Benicar causes the blood vessels to relax which results in a drop in blood pressure. Benicar should always be taken exactly as per your doctor’s prescription and should not be used by patients who are allergic to sulpha drugs. 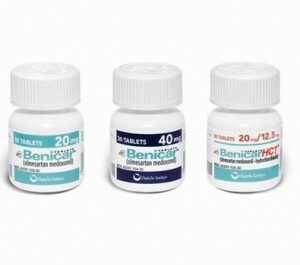 If you accidentally forget to take your dose of Benicar, it is advisable to wait until the next dose rather than double up on it, as it may have serious side effects if taken in overdose.